New to a Malibu VTX and loving it and it's versatility. I am the 2nd owner and don't think they cared about music much. I want to upgrade and put a powered sub enclosure on board to add some dynamic punch. The head unit is the stock Rockford Fosgate RFX-MR5BB with the RFX3000 hide-away receiver with 4 RF speakers. Am I correct that the RFX3000 has its own power for speakers (albeit not much)? It also has an amp that I cannot specify as its hard to get to. What are my options can I hook up a sub with the available RCA outputs on the RFX3000? Could the amp be powering the 4 speakers? I have reverted to the AUX as the bluetooth connection is junk and sound quality is horrible. The 3000 can drive 4 speakers. If there is an amp and no woofer or tower speakers, id say the amp is driving the in-boats. The 3000 had front, rear and sub RCA outputs. I was happy ditching my HU for a wetsounds 420sq. I'd go for quality over quantity on the sub(and everything else really). My 10"JL w6 w/ 250 watts pounds and I never feel the need to turn it all the way up. It's in a ported box. Dig in there and figure out what amp you have and an expert like @MLA can help you design a great setup using some or all of your existing gear. My goal was to get great sound quality in the boat and loud enough tower speakers for wake boarding using my existing amps but I didn't want to go overkill to optimize dollars and battery life. I have JL in boats and a jl sub w/ wetsounds rev 10 tower speakers and we love it. Everything is powered properly w/ an amp and I think that's key. I can't see built in HU power doing much in a boat but maybe I'm wrong. 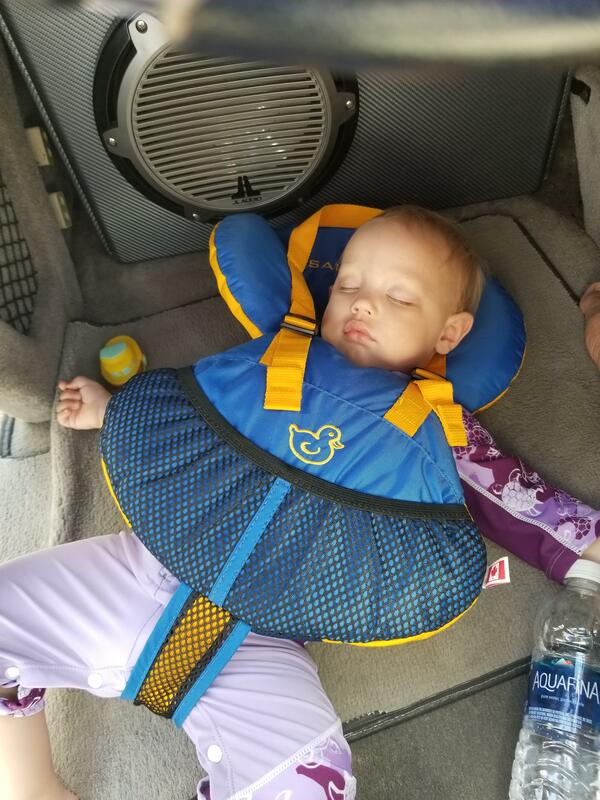 If you have a baby be sure and turn the sub off at naptime.